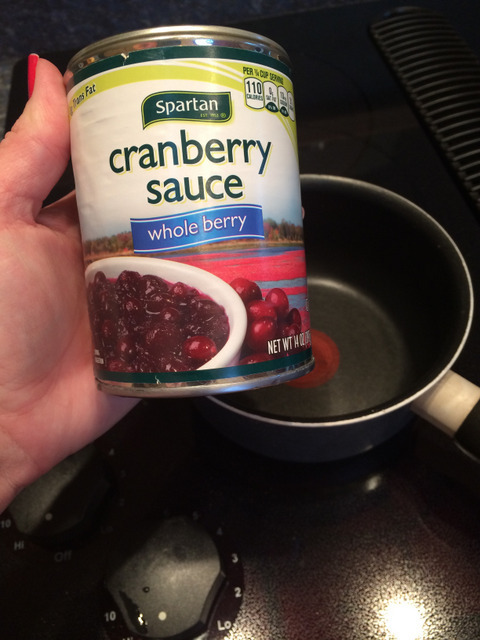 My friend Jolynn and I always sit around trying to come up with new recipes for the blog and with Thanksgiving coming up we started talking cranberry. 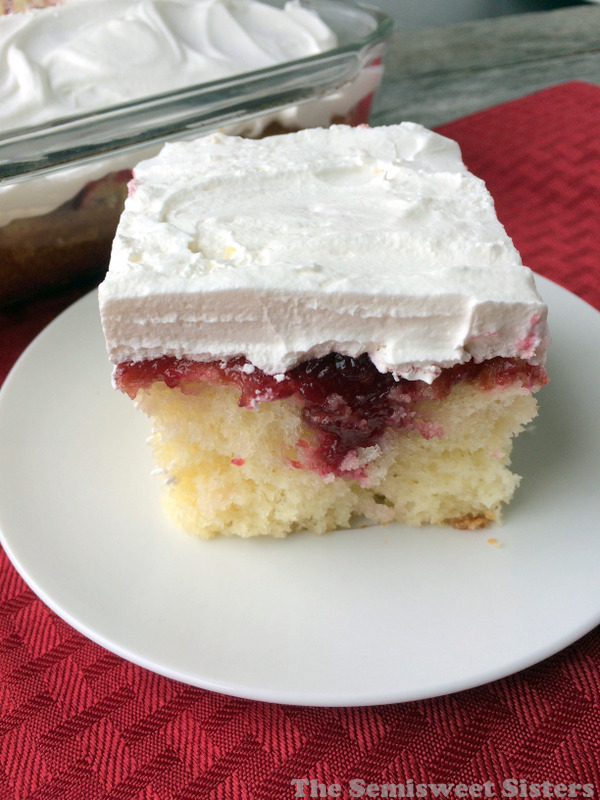 She came up with the idea of a cranberry sauce poke cake and I’m so glad she did because it’s great!! 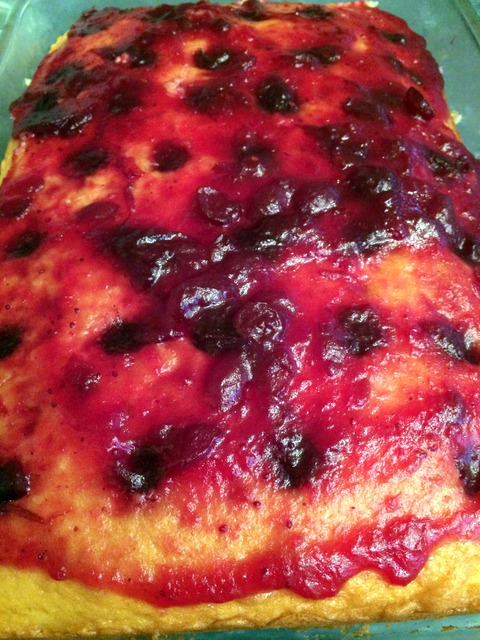 Plus easy: Bake the cake, melt the cranberry sauce, pour over top, refrigerate and add whipped topping… done! It looks very pretty too once it’s cut into pieces. I used the cranberry sauce with the whole berries, but I suppose you could you the cranberry sauce without the berries and it would work great too. Use the top of a wooden spoon to poke the holes. 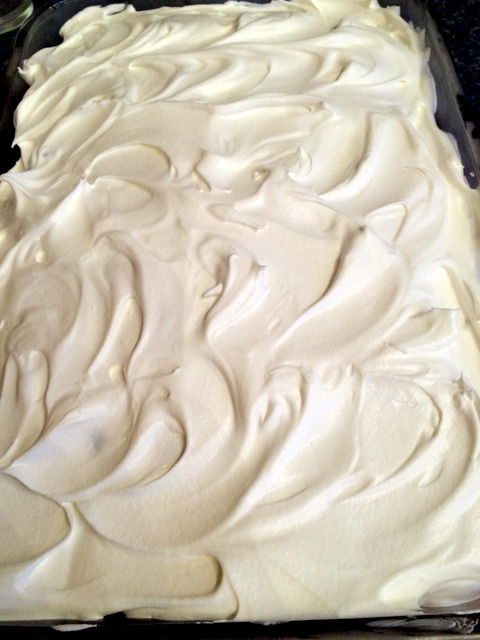 1 whipped topping 8 oz. Bake cake according to box. Let cool. 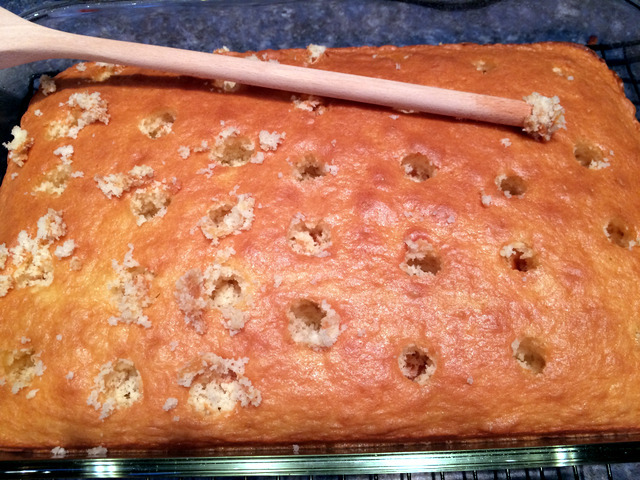 Take the top side of a wooden spoon and poke holes all around the cake. 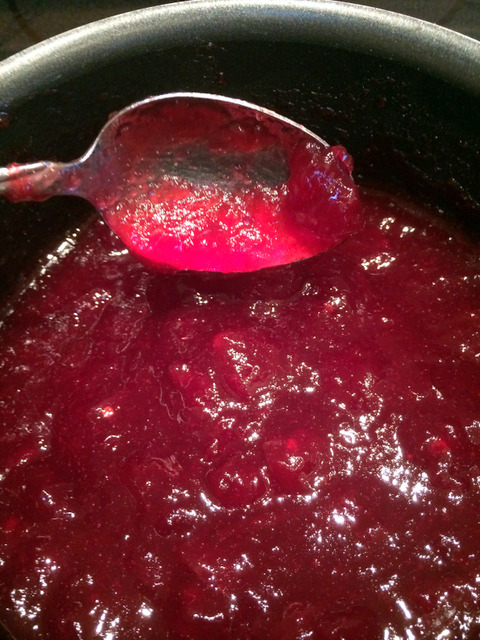 Heat cranberry sauce in small sauce pan on the stove over medium heat until it turns into more of a liquid than gel. 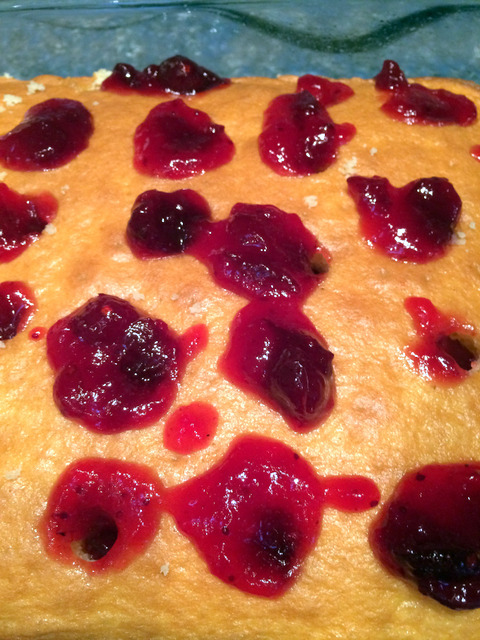 Pour spoonfuls of cranberry sauce into the holes in the cake. Chill for an hour. 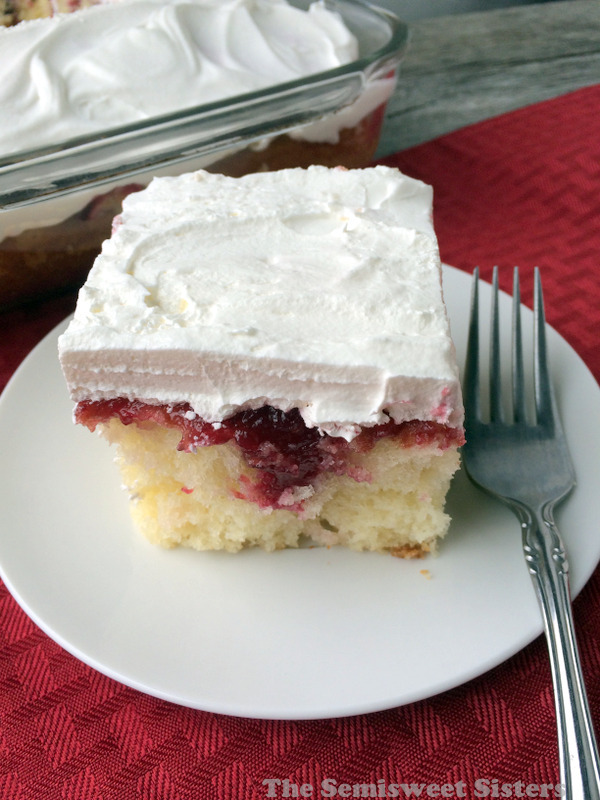 Spread whipped topping on cake, then serve or refrigerate.